Apple TV 4K lets you watch movies and shows in amazing 4K HDR quality. Streams live sports and news. And has great content from apps like Amazon Prime Video, Hulu, ESPN, and Netflix. News and sports. Streaming live. Apple TV 4K offers the live content you care about most — news and sports. You'll find your favorite sports from apps like NBA and MLB and late-breaking news from apps like Bloomberg and CNN, so it's easier than ever to watch the live programming you love. 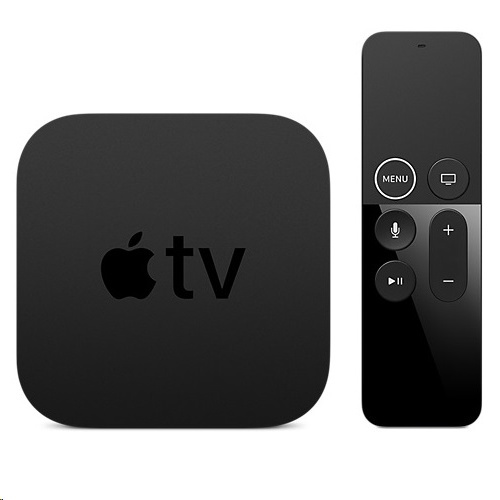 The Apple TV App puts everything you watch in one place. The Apple TV App lets you browse content from over 60 video services without switching from one app to the next. You'll find movies and shows, handpicked recommendations, and live sports. The Apple TV App is already on iPhone, iPad, and Apple TV and works seamlessly across them all. So if you stop watching in one place, you can start again later on a different device. No more typing to find exactly what you're looking for. Just ask Siri for a movie, show, genre, actor, or song you love. Siri also shines when you're not sure what you want. Just say something like "Show me movies in 4K," and Siri delivers. Your photos, videos, and music. It's all on TV. Enjoy photos and videos from your iCloud Photo Library or shared albums on the big screen.3 Connect Apple Music to your home theater. And let your friends and family share their photos and videos with AirPlay. AirPlay is an easy way for you or your guests to wirelessly share whatever's on an iPhone, iPad, or Mac in dramatic big-screen fashion. Shut your garage door. Control your home's heat or air conditioning. Double-check the locks. 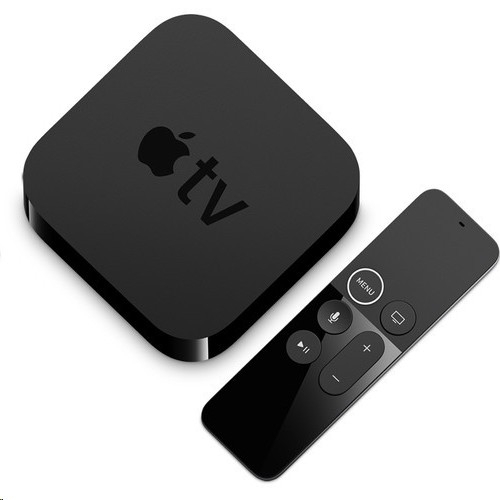 Apple TV lets you use your iOS device to control HomeKit-enabled accessories remotely with the Home app.